Have you ever heard the expression “You can’t teach an old dog new tricks”? This granny is proving that no matter how old you are, you can still have a few tricks up your sleeve. 78-year-old Shirley Webb has proved to us all that regardless of your age, you are always capable of doing more. She was seen knocking out some 225-pound deadlifts, and looked quite comfortable doing it! There are so many people that say they are dedicated to fitness, but Shirley really proves it. Just two years ago, Shirley states that she couldn’t lift herself off of the floor without help, and the extent of her exercising was mowing the lawn. Realizing she needed to make a change, she joined Club Fitness in Illinois with her granddaughter. 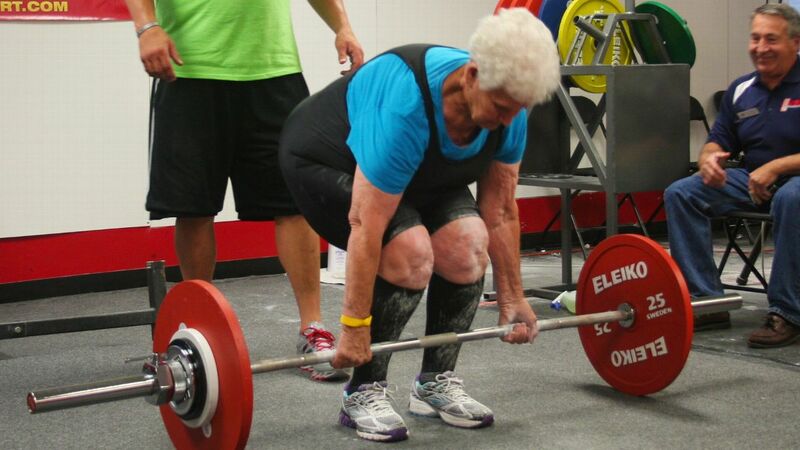 After all, how many grannies do you see at the gym? Better yet, how many grannies do you see lifting anything over 50-pounds? Below is the interview Shirley had with ESPN. Her story is incredible; she is definitely an inspiration to us all.